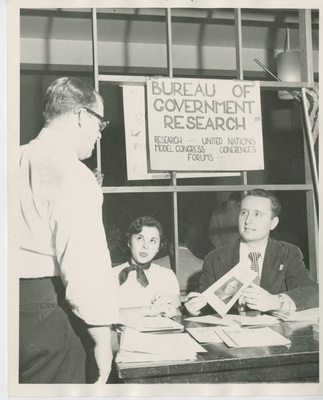 Black and white photograph of two students working at the "Bureau of Government Research" booth. They appear to be recruiting a peer. Undated.